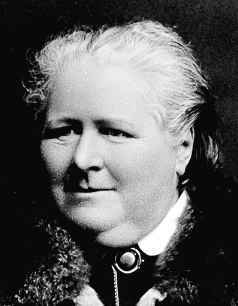 I have chosen to acknowledge Dublin-born Frances Power Cobbe, as an Irish woman who was unafraid to challenge the social conventions of her time and a lifelong and tireless campaigner for social reform. Frances’ determination to express her radical views was a lifelong trait. When she voiced doubts about conventional religious faith to her father as a young woman, she was expelled from the family home (although she was allowed back a few months later, as housekeeper). On moving to London she became a prolific columnist and writer. Throughout her life she published at least eighteen non-prose books, hundreds of periodical essays and thousands of newspaper tracts on such varied subjects as travel, theology, women’s issues and animal rights. Her peers and friends included well-known thinkers of the day such as John Stuart Mill and Charles Darwin. Cobbe was a dedicated women’s rights advocate and an influential member of the executive council of the London National Society for Women's Suffrage. She published many articles on women’s property rights and the legal rights of women in marriage, including a pamphlet entitled “Truth on Wife Torture” which argued, among other things, that assault of his wife by a husband should be grounds for a legal separation. This and other papers were a key part of the Victorian women’s movement that influenced the landmark Matrimonial Causes Act of 1878, which gave a wife the right to a separation with maintenance and custody of children under ten years where she had been the victim of violence in the marriage. In later life, she became interested in animal rights issues and founded a number of animal advocacy groups – including the National Anti-Vivisection Society in 1875, and the British Union for the Abolition of Vivisection in 1898 – which are still in existence today. When she died in Wales in 1904, at age 81, Frances was buried next to her long-term partner, Mary Lloyd, who had died several years before.